Signing a contract for a large debt can leave a buyer with conflicting feelings. 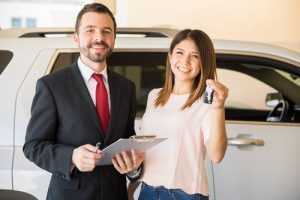 While it’s great to be driving home in a “new” pre-owned vehicle, facing years of monthly payments can be daunting, in addition to the confusing language on all that required documentation that must be carefully read and understood prior to adding your signature. Bringing an impartial companion with you to the dealership can provide offer welcome input. There are several factors of which you should be aware before shopping for a used auto and applying for car loans in St. Peters. Take notes on your conversation with the sales person on such items as interest rate, extra fees that may be charged, information about a trade-in, etc. Memory is often unreliable. Carefully read the final contract before you sign it and have your companion look over it, as well. Ensure that the paperwork matches your written notes. Changes after signing are almost nonexistent. Do not allow anyone to pressure you into a deal. You CAN walk away if you are at all uncomfortable with any aspect of the situation. Instincts are often trustworthy. 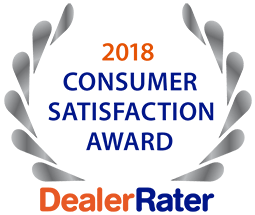 For dependable sales professionals, reliable pre-owned cars and competitive car loans in St. Peters, look to 5 Star Auto Plaza. We have vehicles and loan options for every price range and credit history. Call us at (636)940-7600.